Avon Valley College held a ‘Democracy Week’ last week, during which students found out in tutor time about how our political system works and the key elements of a democratic society. Students completed activities around this theme during the week. Mr Owen and Ms Butterworth also gave an assembly on the Brexit debate – which prompted some lively discussion! Students who attended the assembly were asked to vote Remain or Leave – the results are now in, and were conclusive! 70% of students voted Remain, 30% Leave. Students engaged really well with this theme, and it has been great to see political discussion taking place in tutor groups and around school. The AVC result was much more clear-cut than the original referendum! Congratulations to all the students and staff who raised £94.70 in aid of Comic Relief on Friday 16th March. An Easter Egg Raffle was held at break time, followed by a Talent Show at lunch time. practicing techniques and discussing tactics. Unfortunately the festival only saw Avon... Valley College enter teams, but we had four Year 8 and two Year 7 teams. The competition was split into two—one for students who haven’t represented their school and the other for those students who have represented the school. The Yellow team will now go on to the Level 3 Final in Marlborough on Wednesday 10th July 2019. 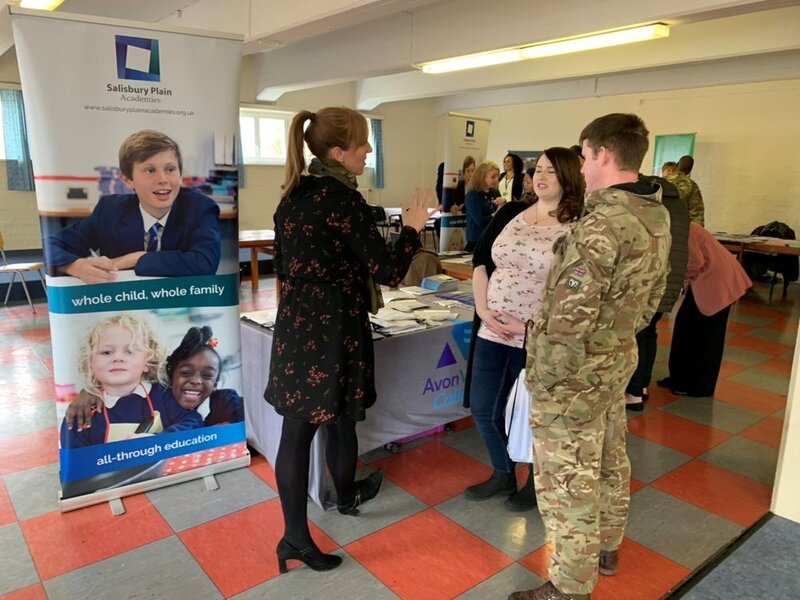 Mrs Weyers, our dedicated HM Forces Family Liaison Officer, talking to parents to support them and their children as they transition from Gutersloh, Germany to Avon Valley College. Congratulations to a team of Year 9 Students who took part in the regional heats of the Young Citizens Mock Trial Competition at Southampton Crown Court on Saturday morning (competing against three other schools). They performed superbly both prosecuting and defending a case in front of a number of Magistrates, Visiting Dignitaries and the High Sheriff of Hampshire. They were commended on their team work, preparation, knowledge of the case and their conduct in court. F Gallag...her was singled out for his outstanding closing speech for the defence and S Leeves for her performance as the witness for the defendant. Unfortunately they were beaten by the Westgate School who will go through to the National Semi-Finals but the students were all fantastic and our liaison Magistrate thought that the team won both of the trials we competed in and considering this is the 1st year that they have competed, the students were outstanding. Congratulations to Aaliyah Laddie (YR 10) who recently competed in the British International Open Championships for Kick Boxing. Aaliyah has been selected to compete in the World Championships (Aaliyah Laddie and David Thomas-Coach, below). Jasmin Edwards (YR 10) went to Denmark and fought in Judo on Saturday 16th February. She came away with a Bronze medal for England. She then went onto fight on Saturday 23rd February in Walsall for the pre cadet & cadet England Open. She moved up a weight group to U57 and came away with Silver. As part of Sporting Champions, Robert Mitchell attended Avon Valley College to deliver our sponsored circuit. Robert is a Great British Athlete who competes in the High Jump. He's best is jump was 2.25m. The Key Stage 3 students had to complete six fitness activities, which were Burpees, Mountain Climbers, Press ups, Star Jumps, Plank and the Wall Sit. Robert then spoke to the students and explained the opportunities he had received through his Athletics. Hopefully his inspirational words have made some students think about their future and the path that they want to take. Twenty two students collected sponsorship to help support future Athletes, congratulations to Sam Wiblin and Sam French who collected the most money.